Fans of marine life can now get an all new Windows theme in which there are amazing HD pictures of some of the rare and most beautiful underwater creatures. Download Fish and Corals Theme for Windows free from the link below and set it on your desktop PC, laptop or tablet. Fish and Corals Windows Theme brings a never seen before underwater world. It has different wallpapers that capture the life of the colorful fish and other sea animals in crystal clear images. 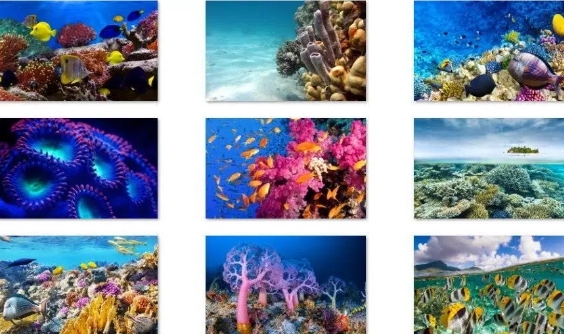 You can now download Fish and Corals Theme for Windows 10 free with all 20 stunning wallpapers in one pack. Under the ocean life is not easy to photograph due to its vastness and difficulty to reach places that contain rare species. 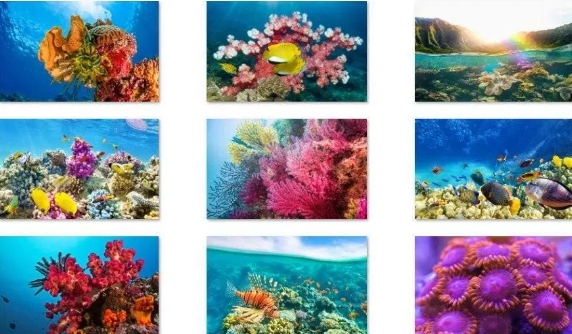 But this Fish and Corals theme has solved that problem because now you can set it as your desktop theme and see the landscapes full of colorful corals and fish. You don’t want to miss out on this amazing collection of wallpapers. Get it for free from the link below from the official Windows link. Note: This theme is compatible only with the Windows 10 Creators Update and later. You can get it from the Windows Store. Although you can get many Windows themes from official site but Microsoft will soon shutdown official site and transfer all themes on to the Windows Store.